As much as we'd all like to, we all can't live on turkey, stuffing, and pumpkin pie alone come Thanksgiving day (believe me, I've tried). Like any other day, it's important to make sure you eat a hearty and healthy breakfast. Besides, I don't know about you, but I've attempted the whole skip-eating-in-the-morning-to-save-for-dinner thing, and the verdict is, I love food too darn much to EVER skip eating. So I decided to remedy the Thanksgiving day breakfast woes with these pumpkin morning glory muffins (a fall take on my all-time favorite muffins). They are equal parts delicious, festive (they have pumpkin and tons of spices), and healthy (thanks to some sneaky veggies!). 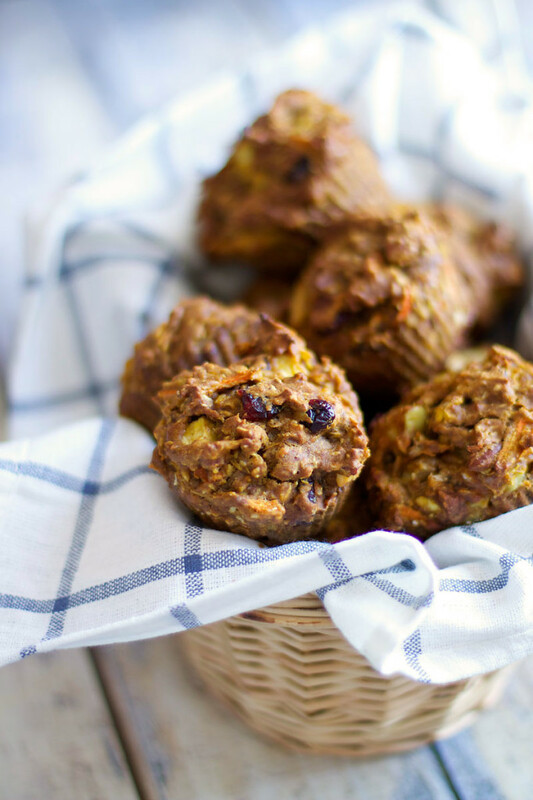 Not only will these muffins satisfy the morning hunger pains, they'll also leave you feeling guilt-free enough to indulge in that second piece of pie later in the day (because obviously eating veggies for breakfast deserves a reward). Bring it turkey day, I'm armed with muffins and ready for you! In a large bowl, combine the flour, baking soda, salt, chia seeds (if you are using them), and spices. Whisk to combine. Next, mix in the sugar, honey, molasses, oil, eggs, and pumpkin puree, stirring just until everything is mixed. Store leftover muffins in a tightly sealed ziplock bag. I usually keep the bag on the counter for 2 days and then, if there are still muffins left, I keep the rest in the fridge for up to a week. The fruits and vegetables are all fairly interchangeable. Feel free to use the nuts or dried fruit of your choosing and if you don't have parsnips you can simply do a totally of 2 carrots.